The Base Layer Lens Case will be your lens's new favourite place to hangout. The high quality neoprene and Chicken Tex Supreme nylon creates a robust exterior while the soft Nylex lining interior is as soft as a blanket. When you are on the go you can wear it over your shoulder thanks to the detachable shoulder strap or keep it in your bag. There is plenty of space to store a lens cap, filter, memory cards or other accessories in the main or handy bottom compartment. A Base Layer Lens Case may look simple but it still packs some surprises! 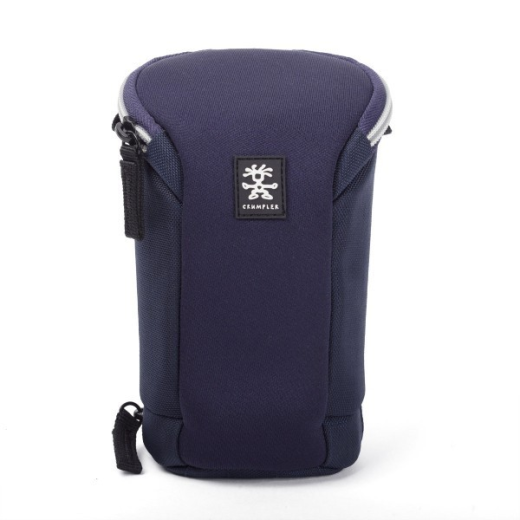 It has a sturdy carabineer for attachment to your bag or other accessories and a removable bumper pad to help protect fragile gear in either compartment.